From Tulane's 1916 yearbook. See This Book is a Cactus. 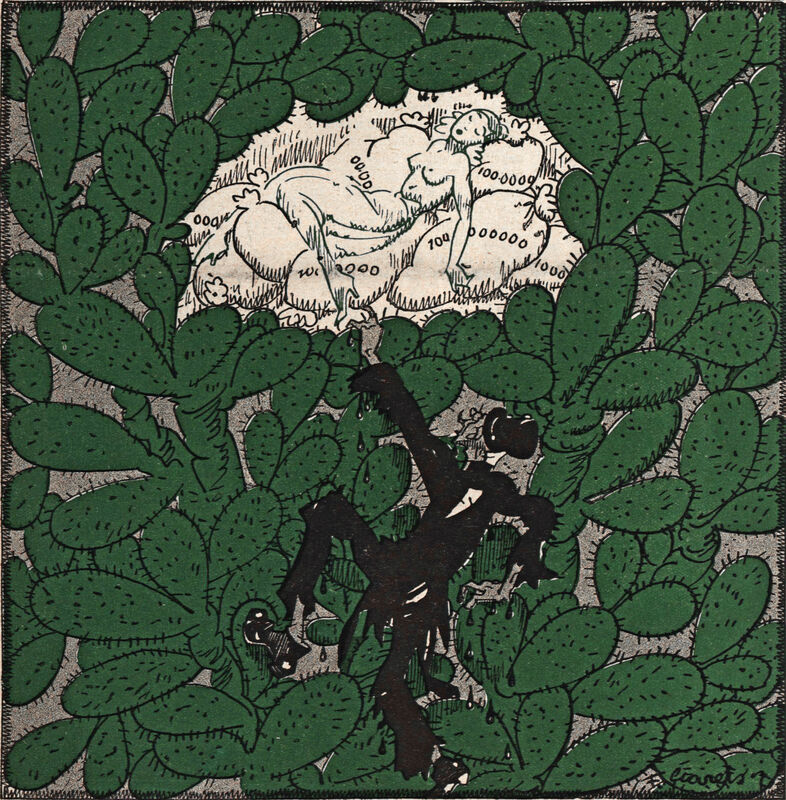 From Fliegende Blätter, 1924. 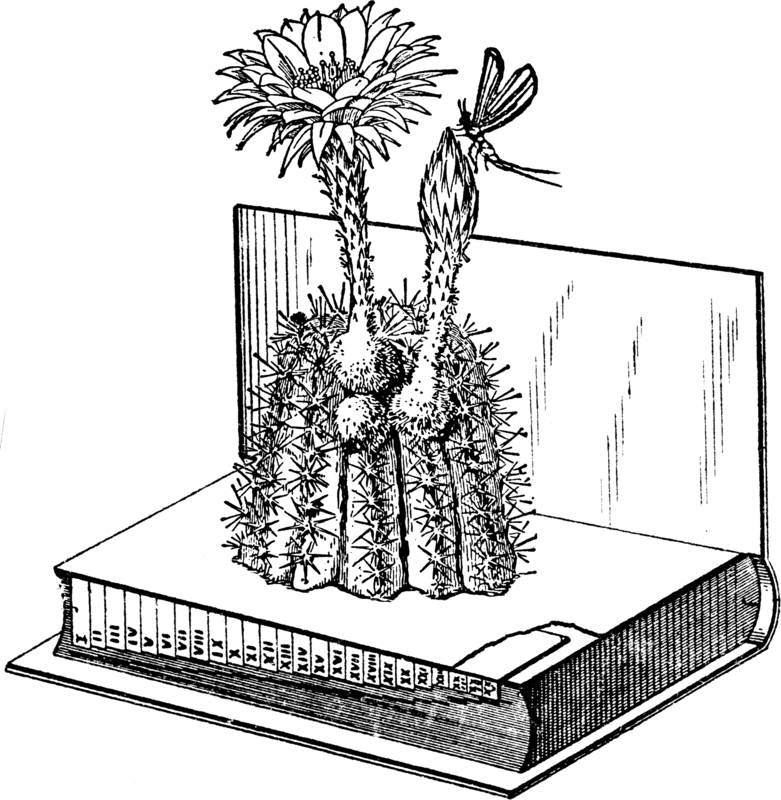 See the astonishing This Book is a Cactus. From Fliegende Blätter, 1925. See This Book is a Cactus. 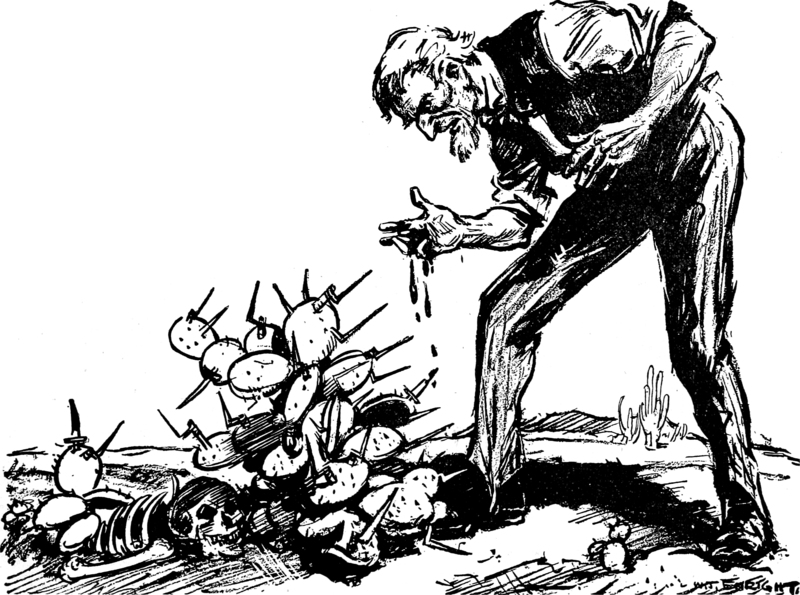 From Jugend, 1919. 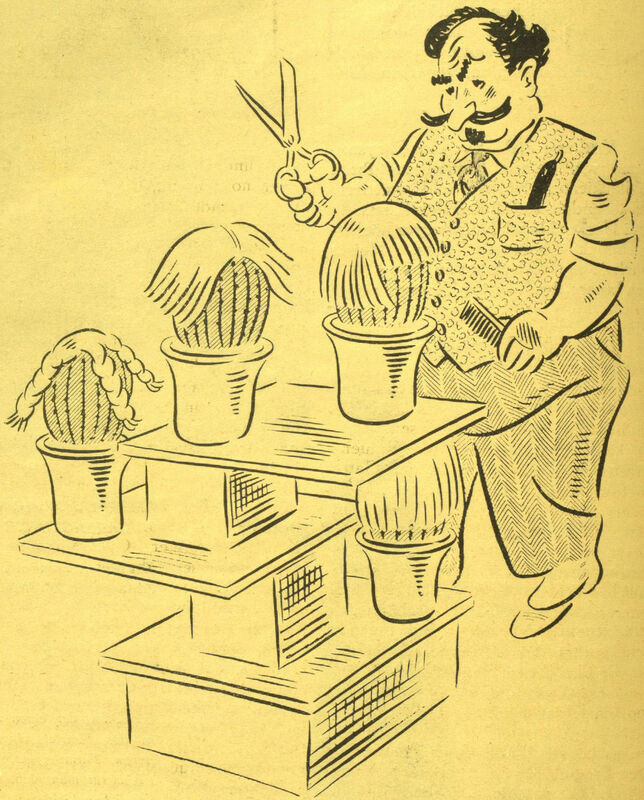 Speaking of which, see This Book is a Cactus. From Fliegende Blätter, 1927. 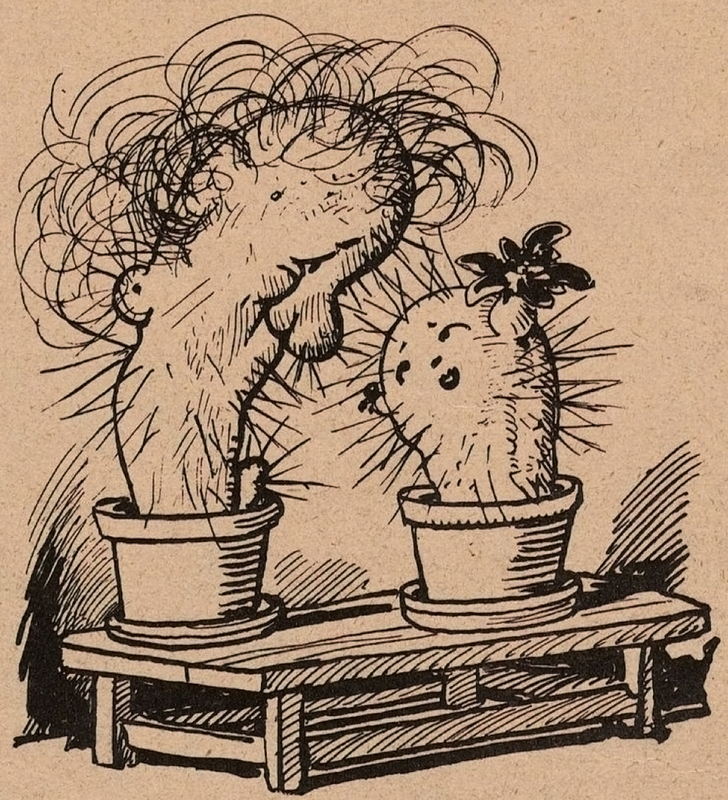 See This Book is a Cactus, about which Adam McFarland writes: "For anyone who remembers what it was like to have fun without technology, this book is for you. Wait... This cactus is for you... I have managed, so far, to keep my Cactus alive. It is a bit trickier than it sounds. But it is the most fun I've had in a long time that didn't require charged batteries." From Ulk, 1929. See This Book is a Cactus. 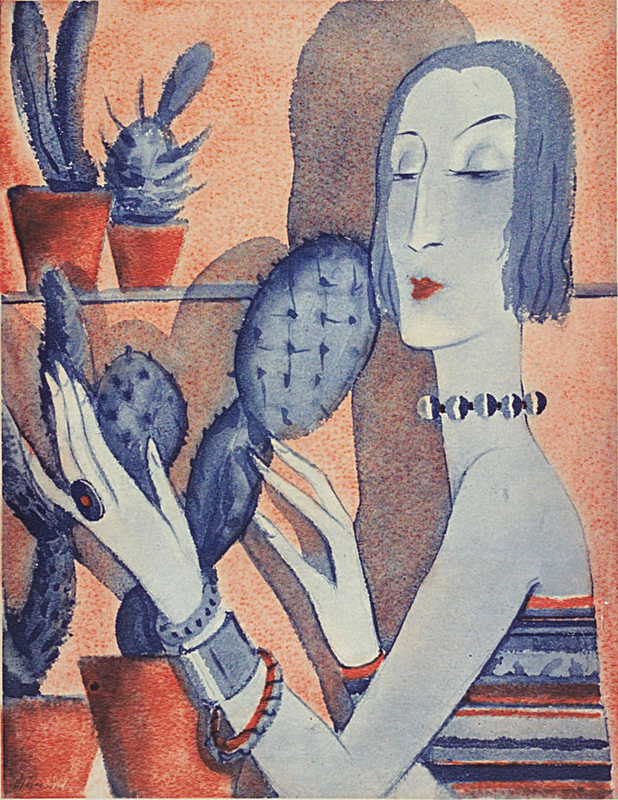 From Die Muskete, 1932. 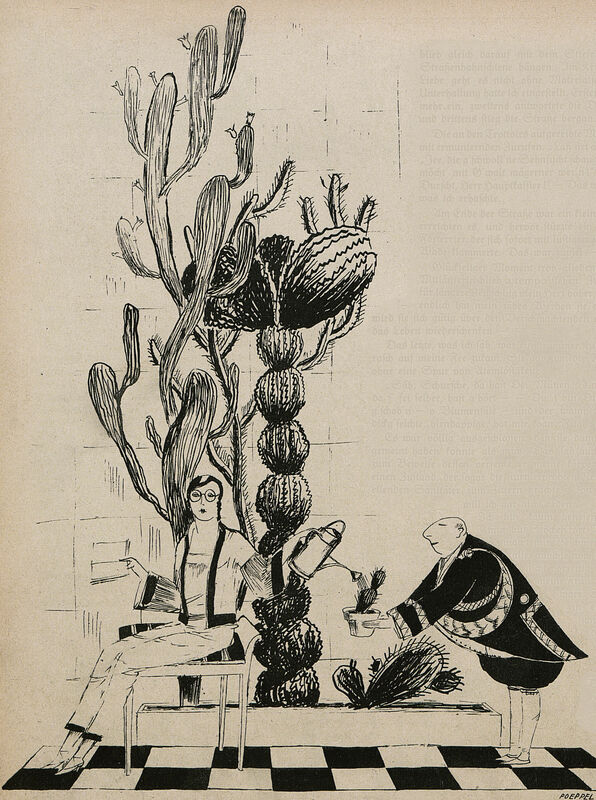 Speaking of which, see This Book is a Cactus. 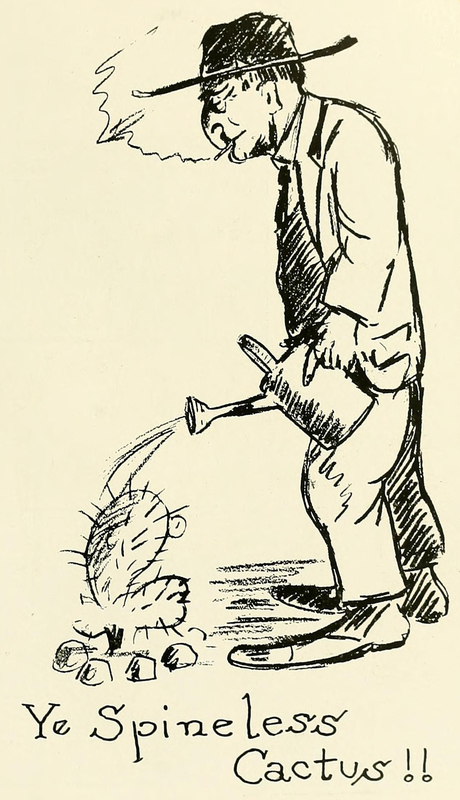 From Die Muskete, 1922. 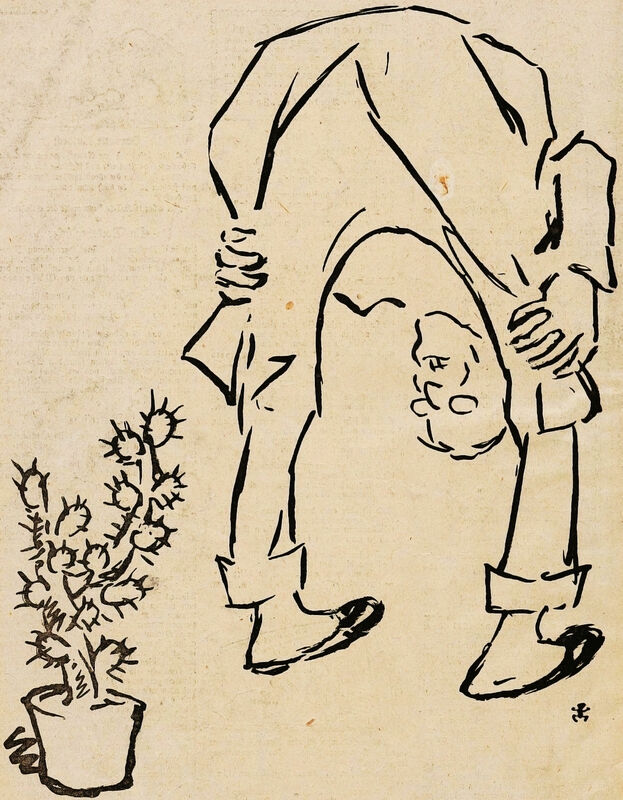 Speaking of which, see This Book is a Cactus. 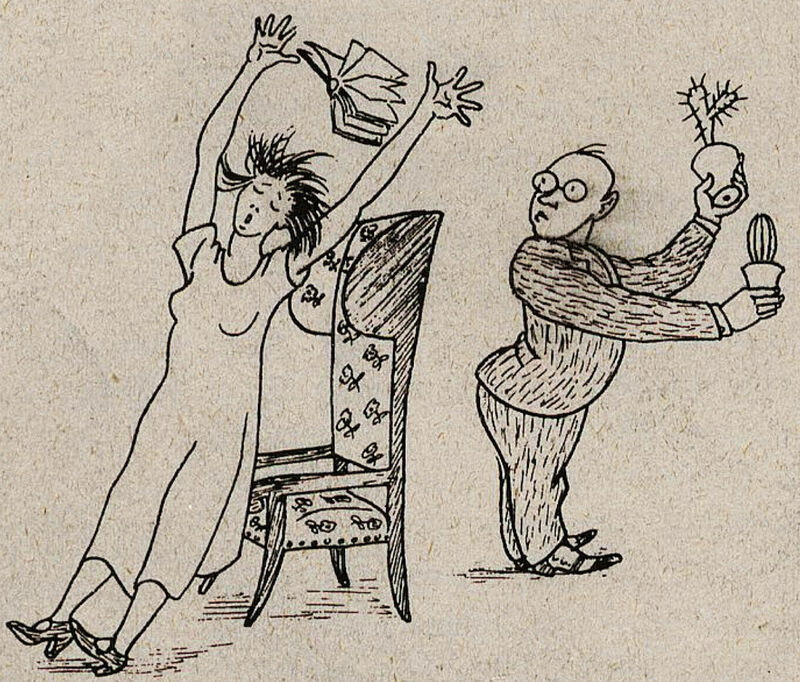 From Die Bühne, 1925. 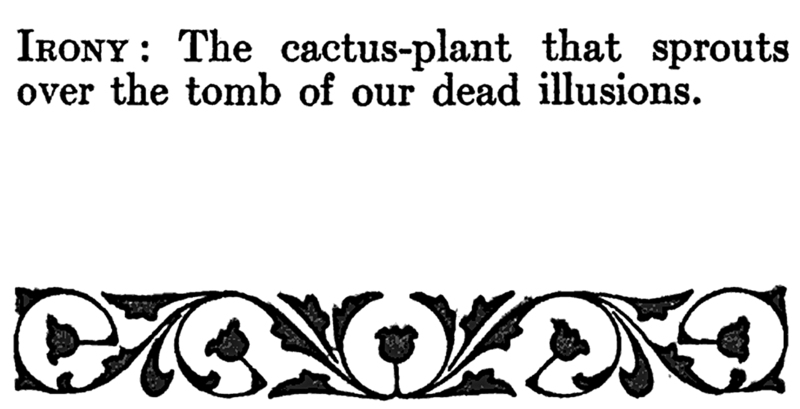 See also This Book is a Cactus. An initial reaction to our puzzler This Book is a Cactus by Bob Neale, author of This Is Not a Book: "One very sneaky treatise. Actually, it is blatantly intellectual as much as it is absurd. And I even wonder if it is a guide to spiritual meditation. But I have a way to go with it to come to any conclusion. Right now, I just know that there is a hell of a lot more in it than I can comprehend." 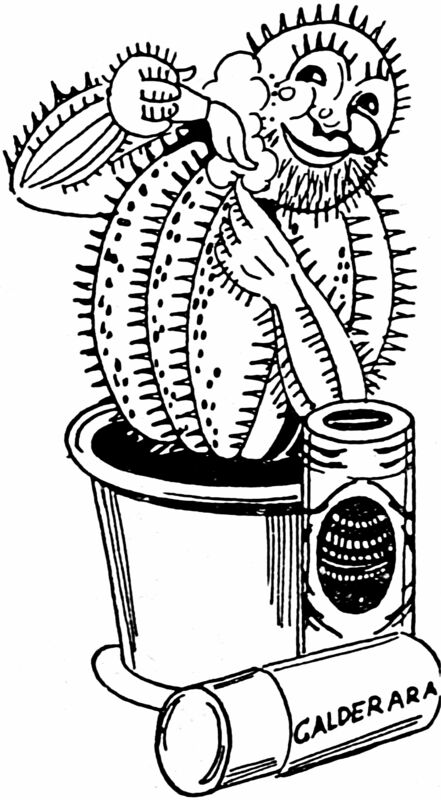 This Book is a Cactus is something quite unique. A friend recommended it to me, and as I have coworkers that I enjoy discussing interesting books and puzzles with, I picked up a copy and did not regret it. 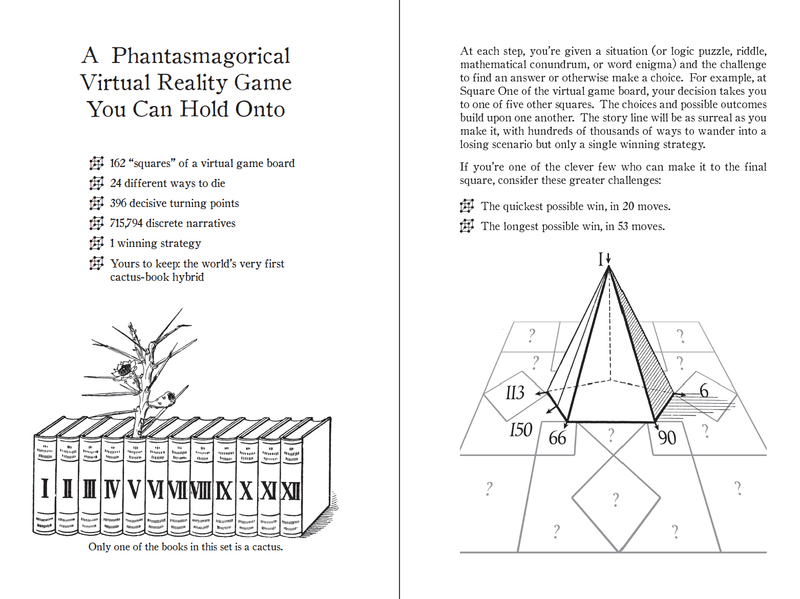 For those wondering about the format of the book, since the description mentions a 'virtual game board', the most similar concept (familiar to most people who grew up in the US after the 1970s) would be a 'choose your own adventure' book with more puzzles (not the content, only as a format reference). Initially, my interest in the book was in the overall concept and the puzzles, but quickly I found myself drawn to the prose. It may be a matter of personal taste, but from my perspective the writing and pacing of this book is brilliant. For something that is broken up by decision trees and puzzles, the vignettes and more narrative text joining things together flow incredibly well, but strangely work well as discrete passages. It’s fairly difficult to describe, but it can work as a semi-long form experience, and also as series of short entries (similar to a chapbook of poems) that although are not always dependently connected to the next section of text, did keep propelling me forward. I would read a few (more than I had planned to) ‘pages’ or ‘make a few decisions’ each night before sleep and it would put a healthy amount of strangeness into my subconscious. As a game, I’m not convinced that there is much ‘replay’ value in the book after you have encountered each of the pages or puzzles in a few different orders. As a mix of narrative and puzzles, replay value is largely irrelevant for the genre. 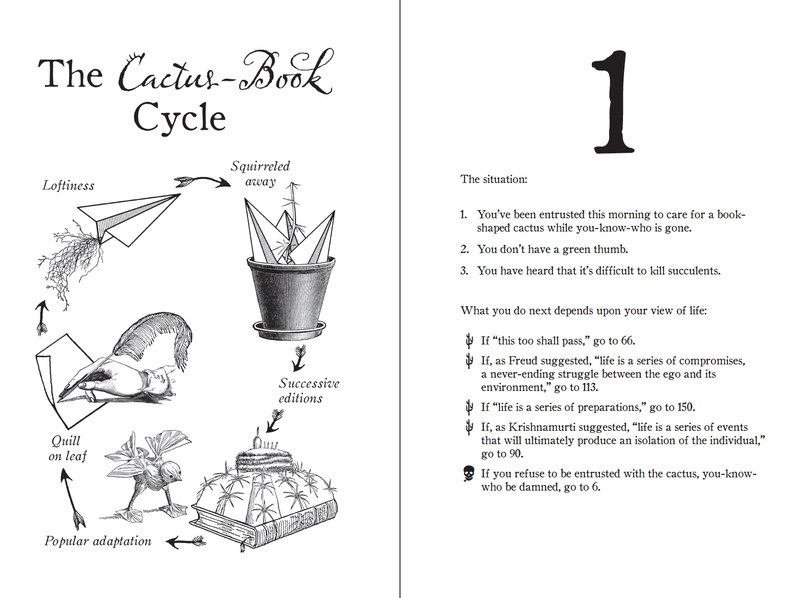 As a work of art, ‘This Book is a Cactus’ is a real achievement. Aesthetically, this needs to be a physical book and the excellent illustrations accompanying the text fit perfectly. Conley’s writing has a unique tone that can mix warm humor, surrealism, literate references, with a touch of gray metaphysical and esoteric mystery. If I can employ a less-literary comparison, the feeling I was struck with when reading much of this book, was similar to viewing the first scene in episode 8 of Twin Peaks. It doesn’t shift into the wacky or caustic styles of some other texts dealing with the esoteric. 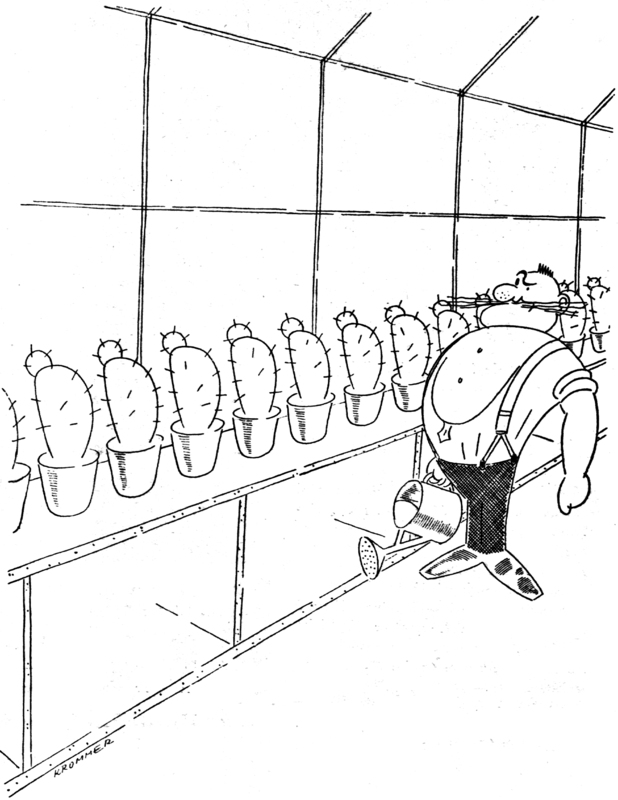 ‘This Book is a Cactus’ employs a calm wit, for a warm mystery, in a foggy, endless bookshelf that might be a greenhouse or more. I foresee and predict that after finishing each page that I will, every now and then, down the road, spot this book on my shelf and pick it up and explore again. By ‘explore’, I mean to give my cactus life. From Into Mexico and Out by Joseph Steffens, 1916. Speaking of which, see This Book is a Cactus.